I love Josh Hamilton. I’ve said it here a million times. Amazing interaction with the fans here in Seattle. 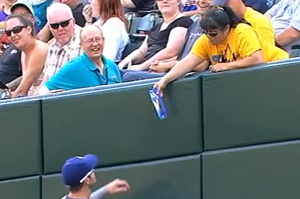 What a stud… but to hear these announcers, and countless other blogs, say he’s eating Twizzlers… is criminal. Highly offensive. Clearly, those are Red Vines. 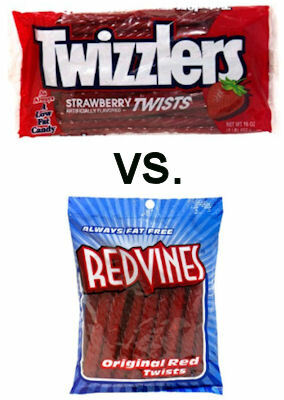 Blue bag is the dead giveaway… and red, like the color of the Twizzlers bag, is the color of the devil. Like any other normal person… I’m sure Josh would never eat a piece of gross wax covered plastic from a red bag. No thanks. I love you, Red Vines. I love you, Josh Hamilton. This entry was posted in Baseball, MLB and tagged josh hamilton, josh hamilton licorice, josh hamilton twizzlers. Bookmark the permalink.